1. 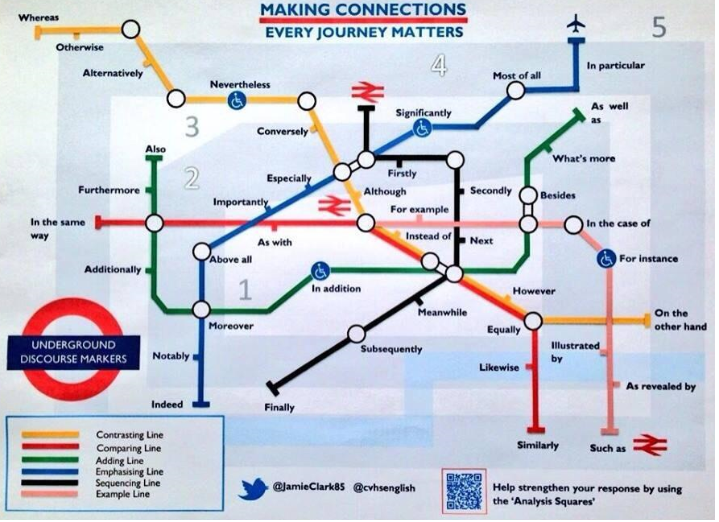 A tube map of connectives created by @JamieClark85 and inspired by @LauraLolder. For more details, and instructions on how to create your own tube maps, click here. 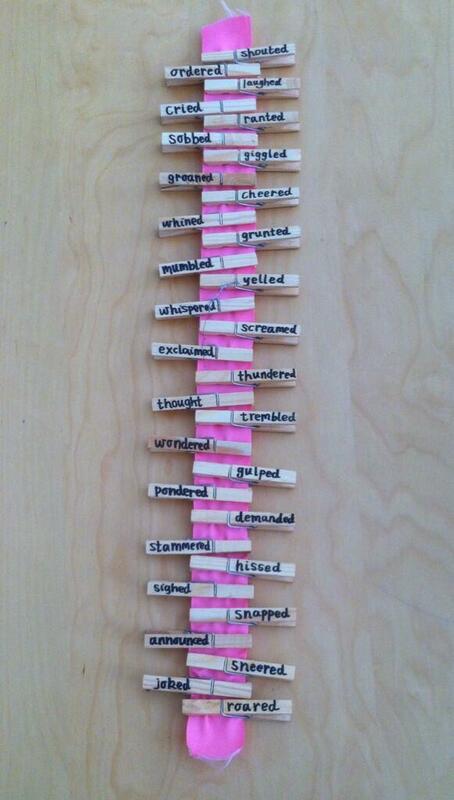 If you liked those, you might also like this pervious post about a “mood wheel”. Powerpoints looking a little tired? Give yourself a prezi! Prezi is an online tool for creating presentations which are a lot less linear and a bit more imaginative than Powerpoints. If you work or study in an educational establishment, you get a pretty good package absolutely free. 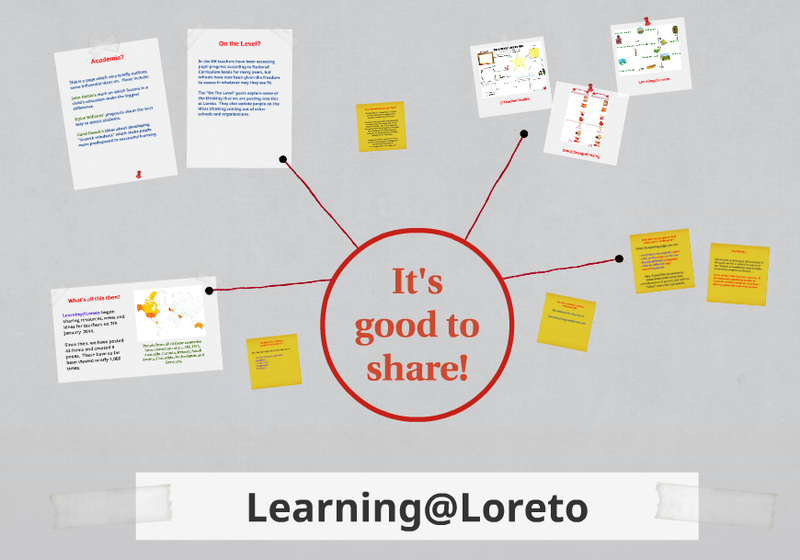 Click here to see an example of a prezi we have prepared all about Learning@Loreto, and here for a link to the prezi website. For information on over 40 other online presentation tools, click here. 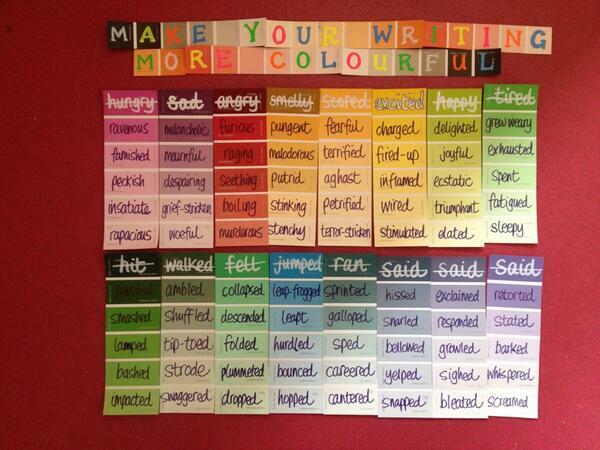 We are always encouraging our students to use a broader and more meaningful vocabulary in their work. 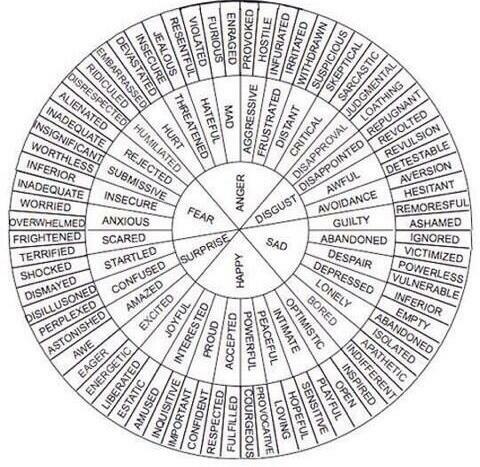 This mood wheel will help them to do just that during any creative writing sessions. Could the same idea be successfully applied to other subjects? Click on the picture to enlarge it.